Today I'll be introducing you to another Bioderma produce that definitely isn't as well known as some of it's more popular products, I'm looking at you Bioderma Sensibio H2O. 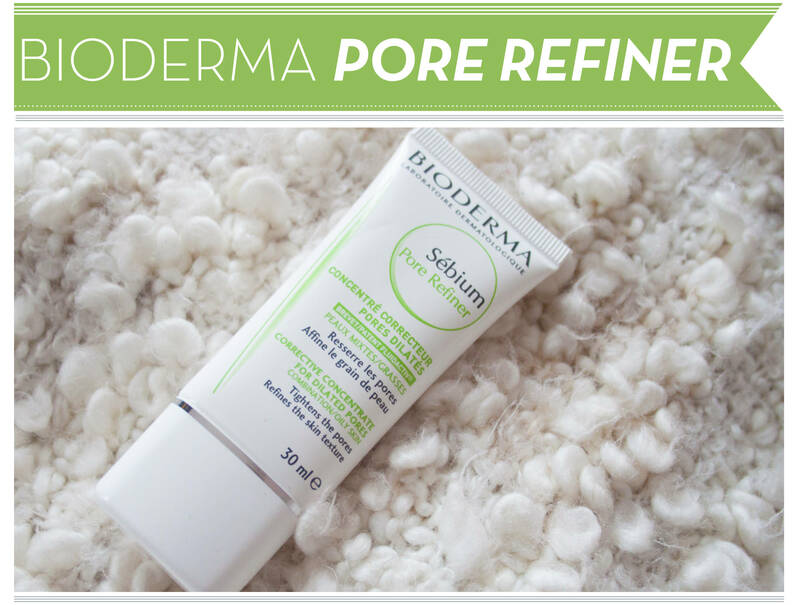 I've been using this Bioderma Sebium Pore Refiner daily since I went along to the launch event of Bioderma in the UK and it's quickly worked it's way up my list of favourite products this month. The Bioderma Pore Refiner has worked absolute wonders on my pore size and really made a noticeable difference between how my skin. I've been using it in replacement of my usual Primer (Clarins Instant Smooth) and I've noticed how lovely smooth and refined my skin looks. The product leaves a matte, flawless base for applying makeup on top of. The texture is smooth and silky with a slight fragrance which is pretty inoffensive. The solution itself is really thin, silky white cream that disappears instantly into the skin. The most telling thing about this is that it hasn't broken my out at all. I find so many products break me out these days I struggle testing out new foundation/skin things. I tend to steer away from fragranced products but this hasn't effected my skin at all. It's so silicone based either, I have a sneaky suspicion that Im allergic to them! Overall my pores are smoothed and look much less noticeable. As it's not really classed as a primer it doesn't reduce oil completely (it does a moderately good job but I do need a bit of powder after a few hours), it's been an absolute dream to use and I can safely say this is one of my firm favourites this month. I have to do a little jump with joy as it leaves my skin looking oh so perfect. The beauty of the Sebium range from Bioderma is aimed towards those with combination/oily skin. You can read my report on Bioderma and it's UK Launch & Stockists here. play online free euchre Enjoy one of the most amazing and popular game Euchre online.